While homeowners down south may not miss shoveling driveways and frozen pipes, they might still yearn for snowball fights, ice skating and the friendly face of a snowman in their neighbor’s yard. Here’s how to get your winter fix when living in a land of endless summer. Snuggle up and watch a movie marathon of winter flicks. There are tons to choose from, from classics like “Dr. Zhivago” and “The Shining” to more kid-friendly favorites like “Ice Age” and “Frozen.” And don’t forget the Warren Miller pantheon of ski movies. Release your inner Michelle Kwan or Apolo Ohno and spend a few hours at an indoor ice rink. You might even break out your winter hat. Transport yourself to the tundra by reading novels set in frigid climes. “The Call of the Wild” is guaranteed to make you shiver, while “Snow Falling on Cedars,” “The Snow Child,” or, of course, the “Song of Fire and Ice” series (the inspiration for the Game of Thrones tv series) also have wintery themes. 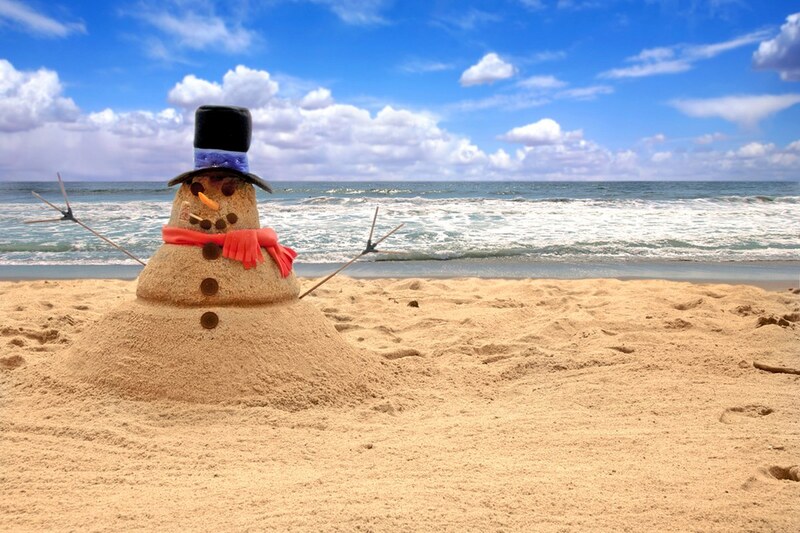 Warm-weather states like Florida engineer snow festivals for people in winter withdrawal. The Gaylord Palms Resort in Kissimmee has two million hand-carved ice sculptures, an eight-lane snow tubing hill covered in snow and a nightly snowfall in the resort’s atrium. For three days, the Sarasota Snow Fest offers 70 tons of snow for open play, four giant snow slides and an ice skating rink. Look up snow festivals in your area. Ready to chuck your snow blower and move to a place where you might (eventually) miss winter? Or, do you miss organizing epic snowball fights and want to move back to the cold? Give me a call and I can help you find a home where the weather suits your style.